Vancouver artist and friend, Genevieve Dionne's ceramic work is a continuation of her study in a variety of mediums and creative forms. Her work ranges from formalized illustrations on paper and clay, tile works, sculpture, and functional pieces. 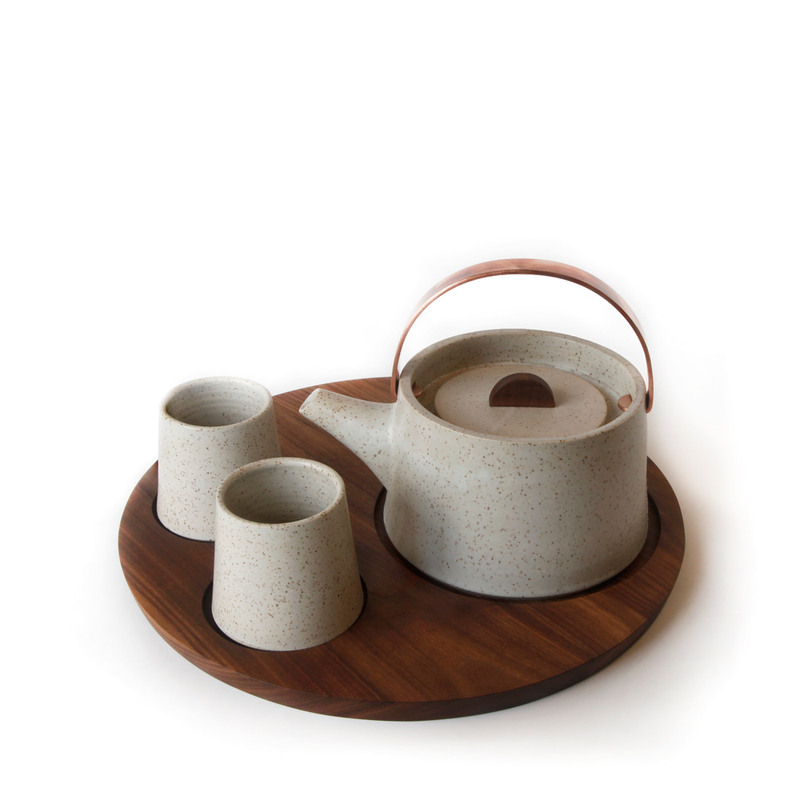 This teapot set was produced after lengthy research and testing of the interaction between natural materials: clay, wood and metal. 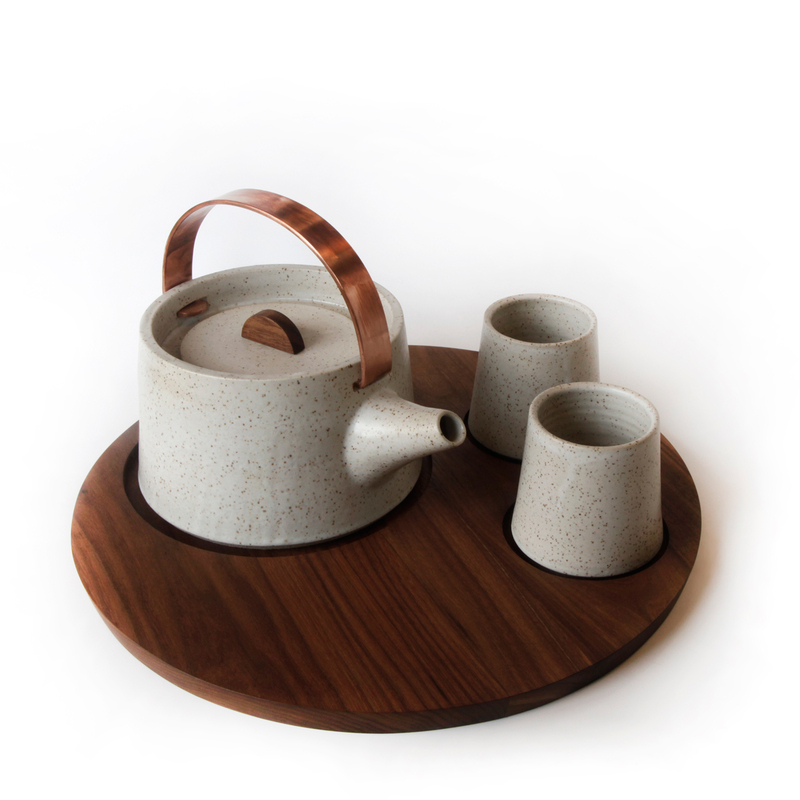 Each part interacts with each: the black walnut tray fits the pot and cups, while the hand hammered copper handle and wooden knob plays with texture and tactility.